Accessory maker Nodus believes Apple will abandon Touch ID fingerprint technology when it releases "iPhone 8," information the case maker gathered from supply chain sources as it worked on designs for the forthcoming handset. 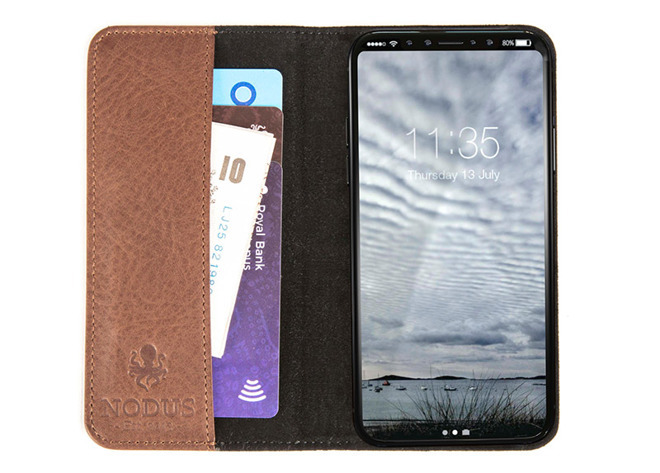 According to Forbes, Nodus is now confident enough in its sources to finalize case designs for Apple's next-generation smartphone. 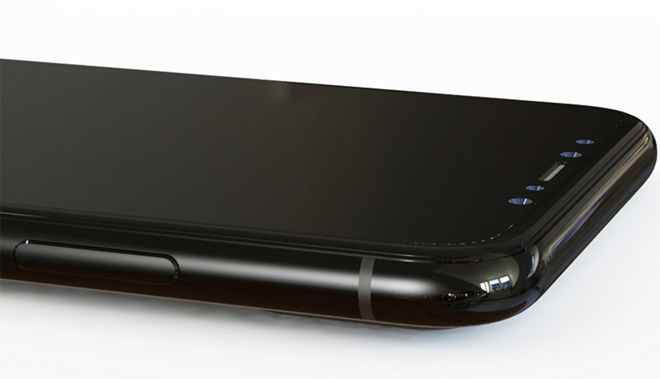 The case manufacturer provided the publication with a few renders showing "iPhone 8" saddled in their wares. The overall design appears largely congruent with recent parts leaks and supposed insider information, featuring a nearly bezel-free full-face display with telltale sensor "notch." Nodus' renders seemingly corroborate findings uncovered in Apple's inadvertent HomePod firmware leak. Specifically, "iPhone 8" software will include graphical assets like a split status bar to present the sensor "notch" as an integrated piece of the onscreen UI. Beyond affirming widely held beliefs regarding "iPhone 8" design, Forbes contributor Gordon Kelly and Nodus believe Apple is likely to do away with Touch ID in favor of more advanced biometric recognition technology. Apple is expected to debut a highly accurate facial recognition system based on depth-sensing camera equipment, functionality supported by code discovered in the recently leaked HomePod firmware. Kelly in his report alludes to the potential inclusion of Touch ID in "iPhone 8's" sleep/wake button, which recent renders and leaks show to be greatly enlarged compared to current iPhone models. Sources claim Apple could enable Touch ID in the button via a software update, but such a solution "doesn't feel like the Apple way," he says. Apple was rumored to integrate Touch ID, or a similar fingerprint recognition system, beneath the handset's OLED display, though the task has proven more difficult than expected. Noted analyst Ming-Chi Kuo, for example, initially anticipated Apple to buffer potential shortcomings in "FaceDetect" by requiring users to also authenticate with proven Touch ID hardware, but more recently said the company nixed plans for an embedded fingerprint reader.